One of Greenside Recreational’s favorite aspects of running a recreational cannabis shop is getting the opportunity to sample the best buds in the business. Because it’s exciting to work with Washington’s amazing farmers and vendors, and we’re always on the lookout for a new favorite. This week we’re liking Knights Hemplar, an outfit that’s gained a following for the owner’s commitment to organic principles and pesticide-free cannabis. Based near Aberdeen, Washington, this indoor hydroponic farm is helmed by the former master grower for Herban Legends and a founding member of the Cannabis Coalition for Standards and Ethics (CCSE), a nonprofit trade organization that’s been instrumental in advocating for a safe and ethical cannabis industry. But let’s not lose sight of Knights Hemplar’s other mission: growing tasty marijuana! Here at Greenside’s Seattle and Des Moines locations, we’re loving Knights Hemplar’s C99, an energizing sativa that provides a slow-burn euphoria that will leave you happy yet high-functioning. So you may want to stock up on a few indicas for cozy times on the couch. Knight’s Hemplar’s Frosty Knight is perfect for the coming hibernation — soothing, soporific, and stoney. Not to mention easy on the eye… It’s clear that the name refers to the dense glitter of crystal trichomes that coat these sticky flowers. We also liked another Knights Hemplar indica, the Power Kush, which is simultaneously relaxing and uplifting — an ideal strain for keeping the fall and winter blues at bay. Seriously, after one hit of any strain from Knights Hemplar you’ll know you’ve chosen… wisely. 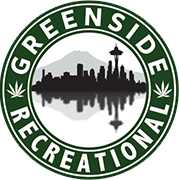 So swing by the best Seattle-area pot shop to check out the latest offerings from Knights Hemplar, not to mention our fine and extensive selection of cannabis wax, dabbing supplies, glass, weed topicals, pot cookies, CBD brownies, THC beverages, pre-rolled joints, and THC and CBD concentrates.